Our Best Answer - What do I do if I'm having registration problems? Make sure your enrollment appointment is open. Watch the video below to learn how to check your enrollment appointment. Make sure that you have no holds on your account that would prevent you from registering. Watch the video below to learn how to check your holds. Confirm the class is open. If the class is not open, you can put yourself on the waitlist and wait for an open seat. Visit the Registrar’s Office website for more information about waitlisting. Double-check that you haven’t tried to exceed your unit cap. Your enrollment appointment has a max number of units you can enroll in. Visit the Registrar’s Office website for more information about unit caps for the most current term. Confirm that you’ve satisfied prerequisites or that you’re concurrently registering for the corequisite. If you want to take corequisite classes (i.e. a lecture and its corresponding lab), you have to register for both at the same time and they both have to be open. Use the University Catalog to determine prerequisites. Ask for a permission number. Permission numbers are used by students to enroll in courses that are full, require consent, or requisites. Depending on the situation, you can get a permission number from your instructor or the department office. Visit the Registrar’s Office website for more information on permission numbers, and watch the video below to learn how to use one. If you are unable to register for any classes because they are full, you can also make an appointment with your faculty advisor or a staff advisor in your college’s advising center. They can help you strategize what other classes to take towards your degree, and advise on any potential course substitutions or unsatisfied requirements in your Degree Progress Report. 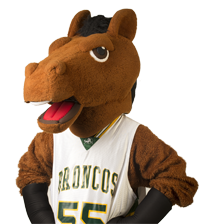 For any additional questions or assistance on navigating BroncoDirect, contact the Bronco Advising Center. For any technical assistance (i.e. BroncoDirect is down), contact the Help Desk. How many units can I register for? What do I do if I have a complaint about a professor? What do I need to submit to my VA Certifying Official once I am registered for my courses?